Updated January 1st, 2019: I’ve recently updated this guide with the optimal car buying strategy going into 2019 to help car shoppers overcome tricky auto industry sales practices that are designed to get YOU to pay more. I’m going to show you how to save thousands of dollars (yes thousands) when buying a new car. Like professional car buyers, you are going to Start a Bidding War, also known as a reverse auction, to drive down the price. You’ll mainly use email, but a couple of well-timed phone calls will help you get an even better deal. In Step 4, you’ll learn my one secret strategy to drastically reduce the car price on the last day of the bidding war. While other sites have copied parts of my overall car buying strategy, I’ve never seen anyone else use this great tip. I’m only sharing this strategy for a short time so be sure to read it before I take it down. The bidding war works by going through a systematic process of contacting each dealer and asking them to beat the best price you’ve received from all other dealers. As you contact each dealer, your price will gradually get lower and you will keep updating your current price to beat. Once you have worked your way through all the dealers you will have found the best possible car price on your new car. 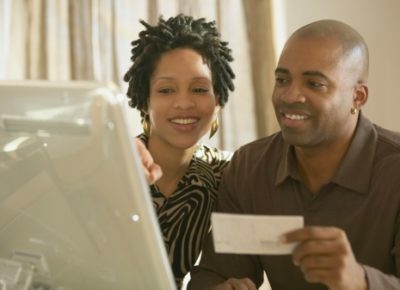 A key benefit to this approach is that you won’t have to worry about things like incentives, rebates, or holdback. These are essentially pricing tricks. You’ll ask dealers for a total price to beat their competitors, and they can shuffle around their internal promotions and sales gimmicks however they want. You don’t care about these details, you are only concerned with the total price you end up paying. The simple reason this process works is that new cars are the same no matter which salesman you buy from. A 2019 Honda Accord from Sacramento is the same as one from San Antonio. The only difference is price. 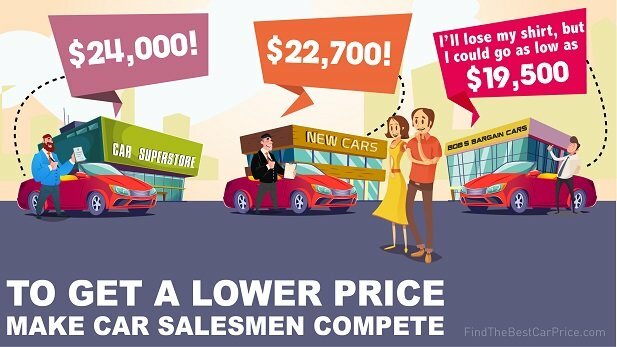 And when price is the only difference, it’s easy to make salesman compete. It’s similar to shopping on Amazon. The same product is listed by multiple sellers and whoever is willing to offer the lowest price will win your business. Get Started: Choose the type of car you want above and click the orange Start a Bidding War button. This free service will connect you with up to five local car dealers who will email you competing car prices. Include Enough Dealers: To create an effective bidding war, I recommend getting at least 5-7 car prices from different dealers, but no more than 10 to keep things manageable. 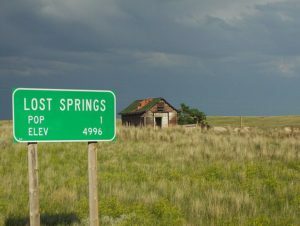 Do you live in a small city with only one car dealer? He might think he doesn’t have to negotiate....but he's wrong! Not Finding Enough Local Car Dealers? You don’t need to stay local. A simple trick is to use zip codes of nearby cities. You can Start the Bidding War several times using different zip codes to find more dealers…and you can even include nearby states! You could save hundreds more dollars just by driving further to pick-up your car. Or, as I have often found, a great out-of-state deal may be all you need to get a local dealer to match the price. In addition to my Start a Bidding War service above, you can find additional dealers by using MotorTrend, Edmunds or CarsDirect. These free websites work the same way, but each has a slightly different network of dealers. Just “uncheck” dealers you have already asked for pricing. Use a new email address: Setup a free email address (like gmail or yahoo) that you will only use for buying a car. This will allow you to easily keep track of your communications. After you’ve bought your car you can stop using that email and you won’t have to hear from anymore car salesmen! Use a temporary phone number: One downside to this process is that you will need to provide a phone number in order to get car prices. This will result in some car dealers calling you. But nobody said you have to answer those calls! Setup a free account with Google Voice and use that phone number. You can set Google Voice to go directly to voicemail or you can temporarily forward calls to your mobile phone. After you’ve bought a car, just turn off the call forwarding. Test Driving: Chances are you’ll want to test drive before you buy. Go to your local dealership and just be upfront. Let them know you plan to get competing prices but you’ll give them a chance to beat the best deal you find. Use these tips for test driving a car to leave the dealership without being pulled into a negotiation. When to Start: You can Start the Bidding War process above at any time to find local dealers and get car prices. However, when you are ready escalate the bidding war, you’ll want to be ready to let dealers know you are going to buy within a few days. Pro Tip: The best time to buy a car is towards the end of the month when salesmen are trying to hit their monthly sales targets. Sometimes if a salesman (or the entire dealership) is close to a bonus target, they may be willing to sell cars for big discounts or even at a loss if the bonus is large enough. After you Start a Bidding War your next goal is to get the email address and phone number of several car dealers. You will need their contact info so you can get them bidding against each other. You should receive emails from dealerships within a few hours of starting the process. You will get some prices right away, but many emails will be vague or contain a price on a different model than what you asked for. Sometimes, a really lazy salesman will simply send you their phone number and no details at all. That’s ok! I’ve made it easy for you to respond to their emails and get a price for your desired car. Get exactly the information you need by using the email sample below. Just update this form with your information and paste the output text into an email. Thank you for your response to my inquiry. I'm interested in purchasing a new car within the next week. Could you please provide a price for a [year] [make] [model]? Please specify all applicable fees and add-ons including destination and documentation fees, floor mats, splash guards, etc. I'm interested in this model in [color1] or [color2]. Are either of those colors available? If so, please include any additional charges for paint in your price. Again, I'm interested in acting quickly, so please provide as much information as possible on your available cars including the VIN#(s) so that I may make an informed decision. Copy the email output and paste it into your reply to the dealer’s email. Then send it as an email reply to each salesman, but be sure to proof-read first. Track all your emails and car dealer responses in my car price worksheet. Now that you’ve gotten car prices, rank them from lowest to highest price. In the next section you will escalate the bidding war by first contacting the dealerships who had the highest prices. Use "MSRP" to make sure you are comparing prices for the same exact configuration of a car. The same set of options will result in the same MSRP so you be sure you are comparing "apples to apples". Use "Your Price" to compare deals. This price should include all fees and add-ons. Rank "Your Prices" from lowest (#1) to highest (#2, 3, 4, and so on). 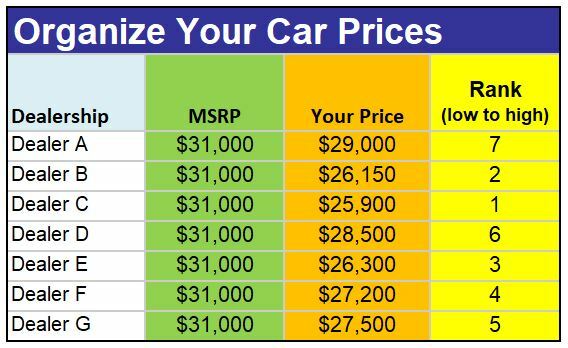 Car prices are purposely confusing to get you to spend more! You only need to worry about two numbers, MSRP and Your Price for comparison purposes. Here’s how to understand the information you get. MSRP (Manufacturer’s Suggested Retail Price): MSRP is the “sticker” price required by law to be shown in the window of a new car. The manufacturer decides a retail price for each model (base MSRP) and then adds on the suggested retail price for each option, liked heated seats or a spoiler. Each dealer is free to charge more or less than the suggested price from the manufacturer, but almost all will charge less to give the appearance of savings. The only reason you care about MSRP is to make sure you are comparing “apples to apples”. For the bidding war to work, you must look at cars that are equipped with the exact same set of options. The easiest way to verify this is to make sure MSRP is the same for the car prices you are comparing. 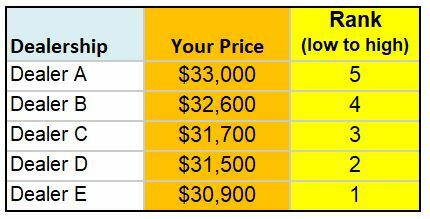 Your Price: This is the car price that includes all fees from the dealer except the 3 T's (Tax, Tag, and Title). Dealers usually won't tell you the tax until after they assess your trade-in and tag and title fees should be the same for all dealers. Invoice Price: You do not need to worry about this number, and I will explain why. Invoice is the price paid by a car dealer to the manufacturer for each car. However, this is not really the dealer’s cost. There are rebates and incentives to both consumers and dealers that occasionally allow dealers to be profitable below invoice. It’s fun to see how your final prices compares to the dealer invoice, but beyond that, do not concern yourself with this number during the bidding war. Now that you’ve ranked the initial prices emailed to you, you’re really gonna turn up the heat and get dealers bidding against each other. In this section I’ll also reveal my secret strategy that no other website will tell you (well…they might after they’ve read it here first). You will systematically pit each dealer against each other and create a bidding war where you will be the winner. You’ll contact each dealer and give them a chance to beat the best price you’ve received so far. Starting with whichever dealer gave you the highest price, you’ll work your way down. You’ll ask each of them to go lower than the “price to beat” (your current best offer). The price should get lower as you go, just like a reverse auction. You would think that by 2019 this entire process could be completed online. Unfortunately, it’s actually getting harder to line up car deals only using email. Car salesmen have gotten stingy and often won’t share their best prices over email because they are easily ignored. They know that in person or on the phone they have a better chance making a sale using their powers of persuasion. As a result, some dealers will make you talk to them to get their best car prices. If you are not comfortable on the phone, you can still run your bidding war completely over email and skip those dealers who don’t reply. However, if you are open to making a few calls, you will likely get a better deal. I recommend a hybrid approach. Start by contacting dealers using email. Anytime you have trouble getting a good response within a couple hours, pick up the phone and call. Then, on the last day of the bidding war, primarily use phone calls. Now here is the secret strategy that is the key to getting the absolute best deal. Marketing departments use time sensitive deals to increase urgency and desire to take action. I’m sure you’ve experienced this before with “flash sales” or “daily deals” on websites. In fact, I even used it on this very website to illustrate my point. In the beginning I said, “I’m only sharing this secret tactic for a short time so be sure to read it before I take it down.” Well, I’m not really going to take it down. But, if you’re like most people, it probably nudged you to read this far for fear of missing the secret. Car salesman will often put similar pressure on you with a “special price” that’s valid for only one day. Now you are gonna flip the tables and use this strategy on them! My Secret Strategy: Make your Bidding War TIME SENSITIVE! Make the bidding war last exactly 3 days. Car salesmen deal with a lot of “tire kickers” asking about cars they are not ready to buy. By putting a deadline on your purchase, salesmen will know you are a serious buyer and are much more likely to give you a serious offer. Car salesman are human, just like you. Fear of losing out will cause them to act. In this case, it’s the fear of losing the sale to a competitor. You are creating a sense of urgency. When people feel a sense of urgency, they’re more likely to make decisions quickly. It’s not just a marketing tactic; it’s actually supported by human psychology. Urgent situations force the human brain to make decisions instantly, which can result in you getting a better offer. When I talk to car salesmen on the last day of the bidding war, I’m always entertained to see a rapid behavioral transformation. When they realize you weren’t kidding about the deadline, they react to the time pressure. My phone starts ringing off the hook as salesman go back and forth with their managers to “work on the numbers” and call me with serious offers. Pick a deadline for your deal. Remember, you’ll want to give yourself 3 days to run the reverse auction (bidding war). If you plan to start on a Monday have your deadline be end of the day on Wednesday. If you haven’t already, rank your car prices from lowest to highest. The lowest price is the one you’ll be asking everyone else to beat. Start with the two dealers who provided the highest prices and send them Email #2 below. Give them 5-6 hours to respond. Call at midday if you haven't gotten good responses. When you get responses, keep your car price worksheet updated. And whenever a new price is lower than all other offers, be sure to update the “price to beat” within Email #2 before sending it out again. Repeat steps 3 and 4 for the next two dealers in order, moving your way down from highest price to lowest price. Again, wait for responses and update your car price worksheet and the “price to beat” mentioned in your email. Call late afternoon if no response. Keep working your way through all the dealers in the same fashion until you’ve contacted them all. Contact each of the dealers again via phone and tell them you will be buying a car at the end of the day from whoever gives you the best offer. Think of it as a game and enjoy it! Optional Step: As a courtesy, contact the salesman who took you out for a test drive and ask if they can match your best price. When you’ve stopped getting offers and everyone has told you they can’t go any lower, it’s time to end the bidding war and close the deal (next section). You can schedule closing for the following day. Email #2 - Can you beat this price? In order to explain to the dealer that you have received a better price and want to give them a chance to beat it, copy and paste the email output below into a reply to the dealer’s email. Remember, every time you get a new “price to beat,” update it in the email so the dealer knows they must go lower. It’s also important to include the MSRP so that the dealer can quote you on the appropriate configuration and he understands that you are comparing apples to apples. I’ve made up my mind and I’m ready to buy a car. I plan to buy from whichever dealership has provided me with the best price by the end of the day on [deadline]. You’ve quoted me a price of [currentquote] for a new [color] [year] [make] [model]. However, I received a better offer from another dealership. I was quoted [bestquote] for a comparably equipped car with an MSRP of [MSRPbestquote]. This price includes the destination fee and all other dealer fees except for tax, tag, and title. If you are able to beat this offer and end up having the lowest price at the end of the day on [deadline], I would be interested in giving you my business. Could you please let me know the best total price you are able to offer? Please provide as much information as possible on your available cars including the VIN#(s) so that I may make an informed decision. Copy the email output and paste it into your reply to the dealer’s email. Send to the dealer, but be sure to proof-read first. For best results, use your email subject to remind them the the deal is Time Sensitive. Phone Conversation – Can you beat this price? Here’s the type of thing to say when you call the dealer. Keep in mind you want to relay a similar message to the email. Salesman: Sure, I can work up a price for you. What options and color do you want included? You: Tell them the details of whatever car you picked out. Be sure to tell them the MSRP of the model you want. This will help them find the right car and reinforce that you are serious. You: I appreciate your offer, but as I mentioned, I’m going to wait and go with the dealer that gives me the best price by the end of the day today (or whenever your deadline is). Ultimately, the dealer will either say they are not interested, give you a good price, or ask you to give them a chance to beat your best price on the last day of the bidding war. All of these are acceptable options. As long as you reach out to enough dealers, you’ll end up getting a great price. Let’s pretend you received 5 prices for a Nissan Maxima SV (MSRP $34,650) and organized them from most to least expensive. First, email Dealers A & B, asking them to beat a price of $30,900. Wait for responses. Dealer B's second price - "that's as low as I can go"
Then, email Dealers C & D, asking them to beat the new best price, which still happens to be from Dealer E: $30,900. Wait for responses. Lastly, email Dealer E, asking him to beat the new best price, $29,850. Dealer E responds with $29,600. If you are satisfied, it's time to buy! If you think it can go lower, then re-send the email to those dealers you think might come down more. You decide to resend to Dealer C & D, and Dealer C responds with $29,499. You just beat your original best price by $1,401, your original worst price by $3,501, and saved $5,151 off MSRP. Close that deal!!!! Your offer of [currentquote] for a new [color] [year] [make] [model] VIN#[vin] is the best offer I have found. I'd like to come by on [date] to finalize the deal and pick up my new car. Does that work for you? I'll plan to bring in my trade-in, a [tradeinyear] [tradeinmake] [tradeinmodel]. Once we can come to an agreement on the value of my car, I'd be happy to give you the highest ratings on any customer satisfaction surveys you'd like me to complete. Bring the dealer’s email with you to the dealership so you can compare these numbers to the figures on the contract. 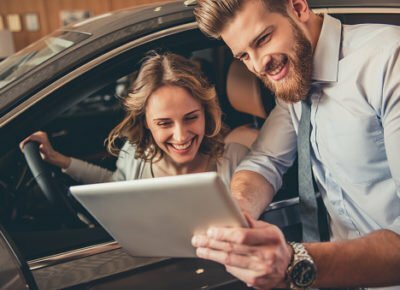 Now that you’ve gotten a great price, here’s what to bring with you to the dealership when you are ready to close the deal. The actual car you are trading-in, including all spare keys and manuals. Optional: any regular maintenance documentation that may help establish a higher value. Even though you’ve setup the deal from home, don’t be afraid to ask for a test drive before you close the deal. It is also a good idea in order to check the car for any dings or scratches and make sure you are getting the trim and options you paid for. I hope you were able to save big money on a new car and this guide made the process a little easier. I would love to hear how you did! 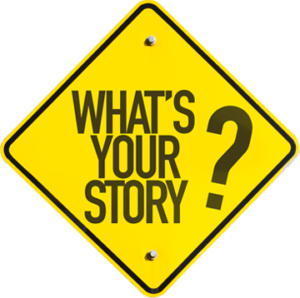 Please tell me your story so I can share it on this site! And if you really found this guide helpful, it would be a huge favor to me if you could share the site on social media too. Thank you!